From the time you walk in the door, the warmth and appeal makes you feel right at home. Six-panel doors and beautiful oak woodwork sets the complex apart from others. The care and detail of a family-run business is evident. We invite you to join our family. New! 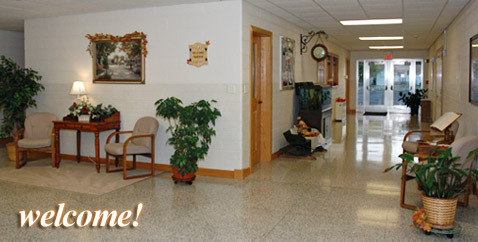 We now feature a massage therapy center. Residents receive $10 off massages. Special Unit! View a photo gallery of our 1920s-style apartment. 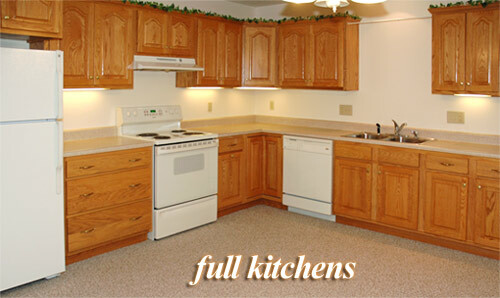 Each of our apartments has a full kitchen with custom-built oak cabinets, range, refrigerator, dishwasher and garbage disposal. The spacious one and two bedroom units offer 750 to 880 square feet of living space. Starting rate information coming soon. The countertop on the knee wall in the living room provides plenty of space to display plants and photos in front of a sunny, double window. 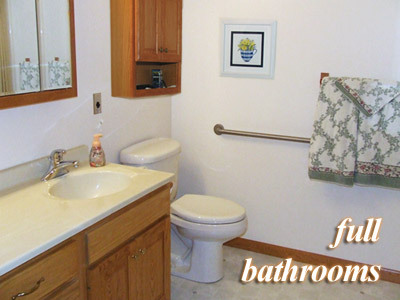 The bathrooms feature a 48 inch vanity, tri-fold mirrored medicine cabinet and 4 feet or 5 feet showers with built-in seats and grab bars. All apartments have independent controls for heat and air-conditioning and are well insulated for both comfort and quietness. 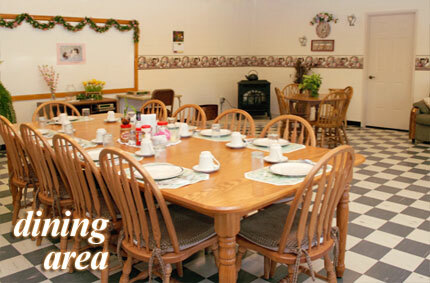 Our hall features several dining tables. Occasional meals are served throughout the year. 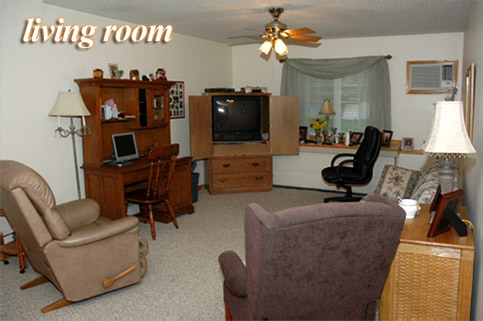 During the day, the room can be reserved for family gatherings or celebrations. 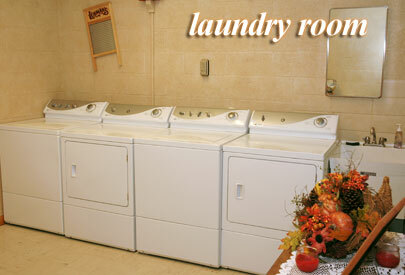 Two washers and dryers are provided for free use by the residents. Laundry service and complete apartment cleaning services are also available. 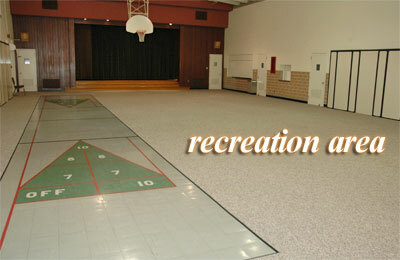 There is also additional storage space for residents' belongings situated behind the recreation room.